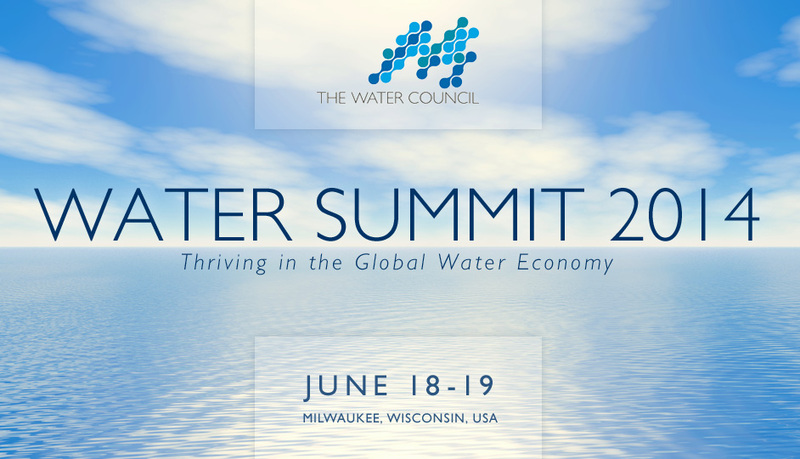 Water Summit 2014: Thriving in the Global Water Economy is quickly approaching, in less than three weeks Milwaukee will be host to some of the world’s most esteemed water professionals, researchers, scientists, and policy makers June 18-19. We will be highlighting details of Summit tracks and other special announcements in the days leading up to Water Summit 2014. Be sure to stay up to date with all the latest Summit details at the website, and don’t forget to Register, as we are certain to sell-out. Water Summit 2014 will have several opportunities to showcase the Entrepreneurs and startup companies that are housed at the Global Water Center, including The BREW accelerator graduating class, and the second year class. On Wednesday, June 18 during the Cocktail Reception after day one of the Summit, we will have an Entrepreneur Poster Session. Entrepreneurs that were selected for round 1 of The BREW accelerator as well as other startup/young water technology companies located at the Global Water Center will be on hand for discussion, networking and idea sharing. This is your one-stop shop to gain a quick, yet detailed overview of all the innovative companies housed at the Center. Be sure to stick around, enjoy some great hors d’oeuvres, have a glass of wine, and enjoy the company of your fellow Summit attendees! On day two of the Summit during the keynote luncheon, invited guest of honor, Wisconsin Governor Scott Walker will graduate the inaugural class of The BREW accelerator. These five companies have experienced tremendous success since entering the accelerator last September, and will be honored to have them as Alumni and mentors to the second class of The BREW, which will also be announced at that time. This year there is also a Summit Bonus! Join us in the Global Water Center after the Summit for a Water Entrepreneurship Workshop hosted by UW-Whitewater’s Institute for Water Business. This workshop offers Summit attendees the opportunity to learn about and use the business model canvas, a popular and effective tool for understanding venture creation. Water experts from The BREW will be on hand to answer questions, facilitate discussion, and briefly analyze designs for new water businesses. UW-Whitewater is a proud Sponsor of Water Summit 2014. AquaRating is a rating system that assesses the performance of water and sanitation service providers, formed in collaboration between the International Water Association (IWA) and the Inter-American Development Bank (IDB). “Driving Global Utility Performance: An Introduction to AquaRating” is a panel discussion during Breakout Session 2 on June 18 that will present and outline the international certification program, which assesses 17 different aspects of water management of a municipality. As major users and water managers, municipalities must be held accountable for their water management practices; the assessment provides a snapshot of the capacity of an organization to deal with the challenges of modern water and wastewater service provision. During Breakout Session 3 on June 19, Kim Marotta of MillerCoors will present “No Water, No Beer!” An in-depth talk about the practices and strategies MillerCoors has implemented at its facilities in Milwaukee, and other national brewing locations, as part of their own stewardship strategy to help protect and sustain the supply of their most important ingredient, water. She will also address key issues for beverage companies that rely on water, and provide case studies on developing and implementing an enterprise-wide water stewardship strategy. MillerCoors is also a proud sponsor of Water Summit 2014. “Attacking Water Loss: Georgia’s New Water Mindset” is panel discussion during Breakout Session 4 on June 19; it will feature various stakeholders from around the Georgian region and discuss how their overall water mindset shifted from “perceived ignorance” as quoted in the report “The Big Thirst” to the leading United States entity in Annual Validated Water Auditing, Non-Revenue Water Management, and Realistic Performance Indicator and Results posting. Gain a full understanding of the program utilized in Georgia, with firsthand knowledge from utilities, on their experience implementing the 10-month program. Be sure to check back every week as we continue to post updates of featured track and Summit news. We look forward to seeing you all at Water Summit 2014, and thank our Water Council Members and Sponsors for affording us the many accomplishments we have achieved in our brief history, as we solidify Milwaukee’s stance as the World Water Hub. This entry was posted in Events, In the News, Water Summit and tagged AO Smith, AquaRating, Badger Meter, Global Water Center, Kim Marotta, MillerCoors, Milwaukee, Milwaukee Water, Rexnord, The BREW, The Water council, UW-Milwaukee, UW-Whitewater, Water Summit 2014. Bookmark the permalink.